Our father, who art a barman. Harold be thy name, thy bubble will be gum, thy will be done, on Perth as it is in Devon. Give us this day our daily shed, and forgive us for our bus-passes, as we forgive those who brush-past against us. Lead us not into temptation, but deliver us from evel knievel. For thine is the big bum, and the power, and the glory, for ever and ever. Amen. Or alternatively, please check out the following interview I did with my mate Joe Badon about his brand new independent film. 1) For those people who never caught our last interview (for shame), please tell us a little bit about yourself, Joe. I've been a comic book and storyboard artist for the past 10 years, and I've just written and directed my first full length feature film. 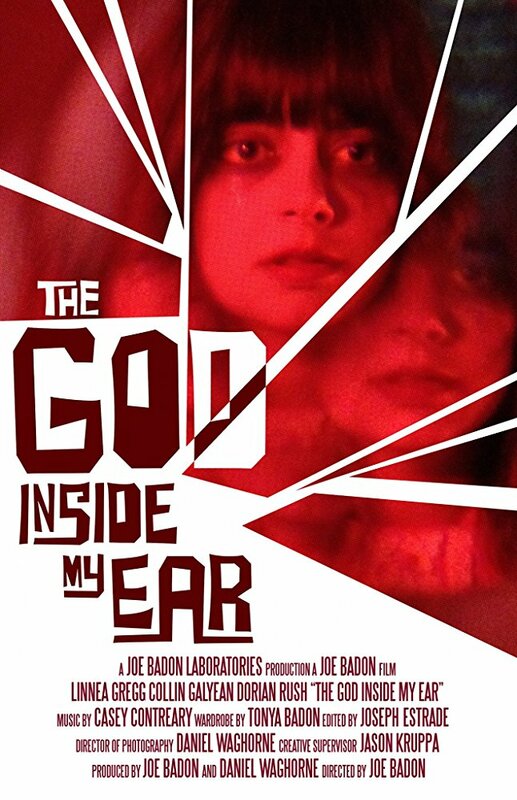 2) What inspired you to create your independent film, ‘The God Inside My Ear’? I watched a movie last year called 'Essex Spacebin' and it really inspired me because it was so fresh, creative, and wild, but it was also very DIY and low budget. So being a bit of a cinephile it really motivated me to start writing a script. The basic concept for the plot came from my love of the horror classic, 'Carnival of Souls', and from there, I cherry picked ideas from a few of my favorite weird low budget films, such as: 'Ms 45', 'Eraserhead', 'The Trip' (1967), 'Repoman', and quite a few others. 3) Can you briefly sum up it’s story for us? The story revolves around a young woman named Elizia. At the beginning of the film, her boyfriend breaks up with her so he can go off and join a cult. This turns Elizia's life upside down and she begins seeing visions and hearing voices. The rest of the film is her quest to find out the meaning behind all of these strange experiences. 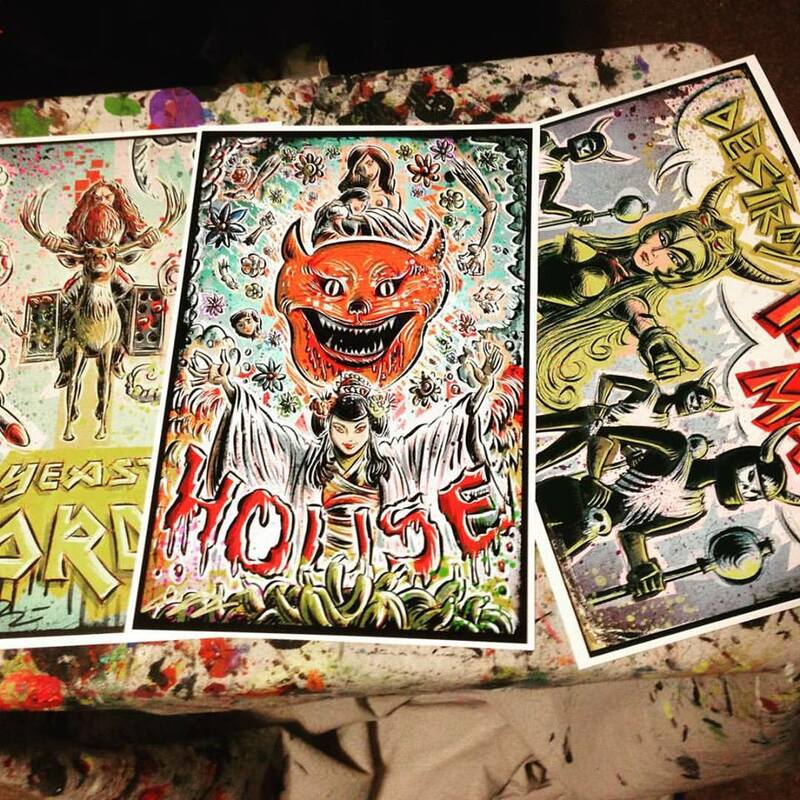 4) What are the similarities between making a film and drawing a comic book? Well, I think that the storytelling aspect is extremely similar. I drew out the entire film in storyboard form before we shot a single frame of the movie. Having done so many comics in the past it really taught me how to tell a story visually. 5) Same question as before, but reverse it. 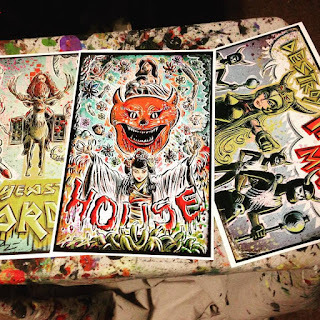 Apart from the obvious, what’s the difference between making a film and drawing a comic book? With a movie, there's the addition of music and acting that adds a whole new layer of storytelling that you don't have in comics. Also, there's a TON more collaboration involved (ie: cinematographer, actors, editors, etc. ), and all of this makes it so much more of a creative group effort than when you're only working with a couple of people making a comic. 6) If you could get a celebrity – either living or dead – to promote your wares, who would you choose, and why would you want to choose this particular person? Nicolas Cage, simply because he's the best actor to ever live. 7) If your lead character had a personal motto, what would it be? Elizia's motto is: 'Everything in life is trivial except it's meaning'. 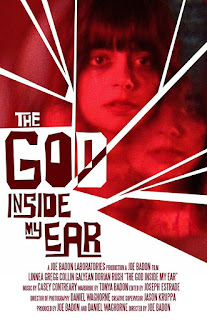 And on that note, I'd like to thank Joe for telling us about his new film, 'The God Inside My Ear', before directing you towards his official website, blogspot, twitter, and facebook pages.